Sepang, 26th October 2007: With the more glamourous MotoGP going on next door, the Malaysian Motocross Championship received little attention. I usually compose the picture in my mind before arriving at a location. 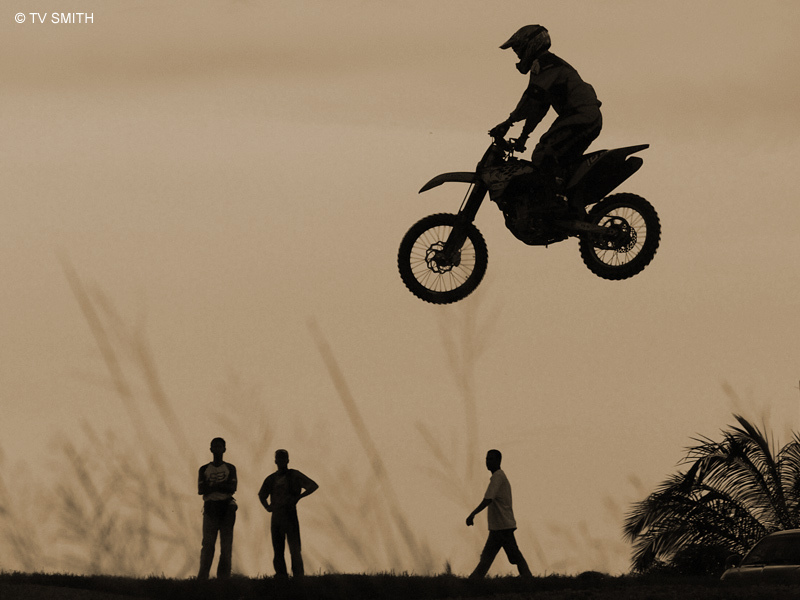 I envisioned a busy scene with riders flying on top of boring oil palm trees. Instead, there were few riders and plenty of lalang patches. With the gloomy sky and the need for speed, I decided on a silhouette image. After tip-toeing through the track, I found the perfect vantage point, next to a marshall. By keeping the camera low on the ground, the lalang appeared much taller. The 560mm tele lens rendered it out-of-focus and gave the picture a three-dimensional look. Big thanks to Irwan & Azhar of the Media Department, Sepang International Circuit (SIC) for their assistance.